We recently saw Best Buy offer some great discounts on Google's newest Pixel smartphones, ahead of the Black Friday rush. Now Woot has stepped in with an offer with great discounts on the Pixel 2 and Pixel 2 XL. While the second generation Pixel smartphones have been succeeded by the Pixel 3 and Pixel 3 XL, they still pack powerful hardware and run Android 9 Pie. The Pixel 2 features a 5.0-inch display, up to 128GB of storage, a 12.2MP rear camera, an 8MP front camera, a fingerprint scanner, and a Snapdragon 835 chipset with 4GB of RAM. The larger Pixel 2 XL features a 6-inch display, up to 128GB of internal storage, a 12MP rear camera, an 8MP front camera, an octa-core Snapdragon 835 processor with 4GB of RAM. Amazon-owned Woot is offering both handsets in refurbished condition at heavily discounted prices with your choice of 64GB or 128GB storage models in two color options. 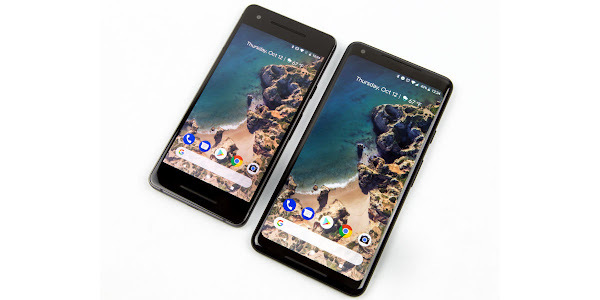 The Pixel 2 can be purchased in 'Just Black' or 'Clearly White' while the Pixel 2 XL is available in regular black or the 'Panda' black and white combo. In contrast, Google still sells the brand-new Pixel 2 at $649, while the Pixel 2 XL costs $699. The handsets are listed as GSM unlocked and are compatible with Verizon. Amazon Android Deals Google Pixel 2 Pixel 2 XL Woot!